Sunday 17th January - 10.5 mile run, The Peter's Pies 6 Tyne Bridges Challenge. (01:46:07). Monday 18th January - 7 mile run, Race Course Woods. (01:14:18). Monday 18th January - 5 mile run, Treadmill. (00:49:47). Wednesday 20th January - 6 mile run, Treadmill. (00:55:00). Wednesday 20th January - Personal Training Session. (01:30:00). Friday 22nd January - 6 mile run, Treadmill. (00:58:42). Friday 22 January - 3.5 mile run, Treadmill. (00:36:53). Saturday 23rd January - David Fairlamb's Beach Bootcamp. (00:56:24). Saturday 23rd January - 8 mile run, Grand Hotel to St Mary's Lighthouse and back. (01:26:56). Monday lunchtime saw me run 7 miles through the cold, icy and muddy conditions of the woodland near Newcastle Race Course. How I didn't slip over, I'll never know. In the end, I was pleased to record yet another comeback run in 1 piece. After work, I took the opportunity to use the gym up at Complete Football (located right next to the Grandstand at Newcastle Race Course). Regular readers will know that I was granted complimentary membership by them in December. By the time I got there the gym was quite busy but not too busy that I had to wait for a treadmill. In fact, it's a well stocked gym on large premises with numerous treadmills so I can't imagine ever having to wait. I'd never seen these kinds of treadmills before. Very modern indeed! The one I used had a touch screen with an integrated TV and fans is you wanted them. Very nice! Now the most important part! The "ride" didn't disappoint either and the cushion and comfort were just right. I found this to be quite a relief as I'll be spending quite a bit of time here over the coming months. There are some treadmills that I just don't enjoy running on. Thankfully, this wasn't one of them! Now, that I've seen and used the facilities first hand, it's time for an unashamed plug. Membership of the gym at Complete Football starts from as little as £18 per month. If you're looking for a gym in the Gosforth area with state of the art facilities then I don't see why you would need to look any further than the gym at Complete Football. See www.completefootball.net for further details. One final plug, which I think most parents will be glad to hear about is the football birthday parties that Complete Football do. My son Jack (pictured above), had a belated birthday party there on Saturday. 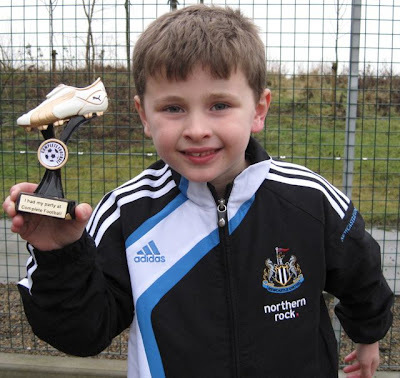 He was joined by 11 of his school pals for an hour that comprised a warm up, skills coaching, a six a side game and finally a penalty shoot out. It was bitterly cold but the bairns didn't mind one bit and they all got stuck in to the football. I was very impressed with the coach who took the party. He made sure that the sides were fair and every one got their share of shots in the penalty shootout. If I can compare it to a fitness class, I could say that it was a very "tight" session and little time was wasted to allow the bairns to get a full hour of football in. As soon as the football was over it was inside for hot dogs, drinks, snacks, well stocked party bags and to sing "Happy Birthday". 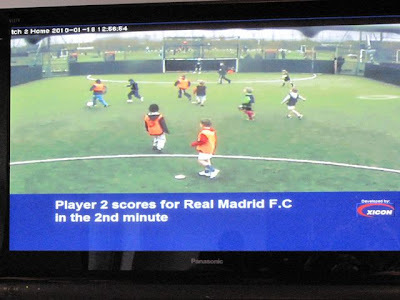 This was all secondary, when the bairns saw that highlights of all of their goals were playing on the screens above the party table (pictured above). "That one was like Rooney's last week" one bairn said. This rounded the party off nicely for the bairns and Jack was ever so pleased to receive a very nice trophy with "I had my party at Complete Football" engraved on it. That was one 7 year old's day well and truly made I can tell you! The price of the party was £125. We had 12 bairns there but it's the same price for up to 16. When you take into account the quality of coaching, food, party bags, cake and trophy it represents brilliant value indeed. There were 3 other parties that afternoon which is as good a recommendation as any. For further information see www.completefootball.net. In the meantime, I'm looking forward to getting re-accquanted with the treadmill at Complete Football tomorrow after work for 7 miles. Prior to that, I've got a 6 mile run to do round the Town Moor. That will give me 41.5 miles for week 64 of USA 2011 training. To get me to the target of 50 miles, I've got a nice 8.5 mile Saturday morning run planned from Tynemouth to St Mary's Lighthouse and back. This will be done as soon as I've finished David Fairlamb's Beach Bootcamp on Tynemouth Beach (opposite the Grand Hotel) at 9 am. Busy times again! Brilliant! New "Pie Runner" prepares for Paras! I'm pleased to report that I'm feeling stronger during every run ever since making my comeback to running last week. It seems that the four week break hasn't set me back too far and I'm starting to enjoy getting the miles in again following that nasty chest infection. Sunday saw a return to the 10.5 mile Peter's Pies 6 Tyne Bridges Challenge. I was accompanied by regular runners Kevin Lister (far left) and Tom Higham (far right). I was also joined this week by 17 year old, first time "Pie Runner" Lewis Edes (2nd right) who is preparing to join the Parachute Regiment. It was great to have him join us for 10.5 miles along the Tyne. I actually felt quite flattered and, dare I say it, quite proud, that he'd chosen to run with us as part of his preparations to join such an esteemed elite Regiment of the British Army. Not as proud as his parents must be mind you! You could tell straight away by his attitude that he's a great kid. As with all of the other runners, I look forward to him joining us in the coming weeks and months on a Sunday morning. Please remember that this casual Sunday morning run is open to anyone who would like to join me. It's a 10.5 mile run taking in the bridges of the Tyne from the Millennium to the Scotswood before returning back to Newcastle Quayside. We set off from the Newcastle side of the Millennium Bridge at 9 am and the run can take anywhere between 01:37:00 to 01:45:00 to complete. As you can tell it's not done at a serious pace but it's a good chance to get some time on your feet and have a bit of banter with fellow runners on the way round. It's also a good chance to see 6 of the Tyne Bridges up close in one fell swoop. Thanks again go to Peter's Pies for sponsoring the run. Monday 11th January - 6 mile run, Town Moor. (00:59:06). Thursday 14th January - Personal Training Session. (01:30:00). Friday 15th January - 6.2 mile run, Jesmond Dene. (01:02:31). After 4 weeks of rest due to a chest infection I made my comeback today. I must admit that I was dreading it somewhat, as it's been 16 months since I had a break from running as long as that. Also, if you factor in the amount of chocolate I've consumed over Christmas then the signs were that today was going to be a tough run. Today's route was a 6 mile course through the streets of Gosforth, round the Town Moor and back again. Thankfully, I had the company of 2 regular running partners in John Brettell and Carl Hudson. There wasn't the usual level of banter today as all 3 of us were on the comeback trail. Minds seemed to be more focussed on just getting round. The last few runs I managed in December were done with a chest infection. It was amazingly refreshing to run today without the slightest hint of any breathing problems whatsoever. I was especially surprised at how good I felt at the end. I know it's only 6 miles but after such a long break I just didn't expect the quality of run that I put in today. I've made many a "comeback run" over the last 18 years and I can safely say that this is probably the best one I've ever had. At the very least, it's such a relief to be running without any breathing problems. Long may that continue! I reckon I'm only 3 weeks away from getting the training schedule back on track. I'll be running every day this week with a gym session with personal trainer Mark Fleming on Thursday and Beach Bootcamp on Saturday morning. Sunday will see a long overdue return to the Peter's Pies 6 Tyne Bridges Challenge. As regular readers will know, this 10.5 mile route takes in each bridge from the Millennium to the Scotswood before finishing at the Quayside market. The start time is 9 am for anyone interested in joining me. I hope to see as many of you there as possible. 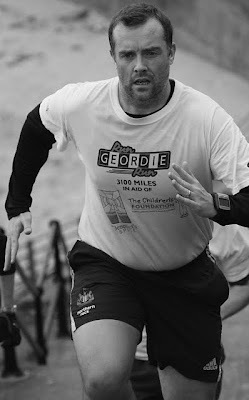 The Run Geordie Run T-shirts are continuing to sell really well in aid of St Benedict's Hospice (Charity No. 1019410) and The Children's Foundation (Charity No. 1000013). Over £2000 has been raised so far as a result of t-shirt sales and this has helped the overall charity fund reach the current total of £5,764. 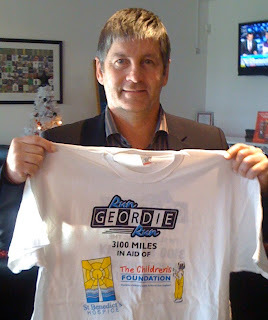 Each Run Geordie Run T-Shirt, modelled here by Richard Haydon, is priced at £10 each. The amazing thing is that the full £10 goes to the charities. Yes, that's right! Amazing, I know! Production for each t-shirt was kindly paid for by nufc.com reader Peter McCowie and made, at cost price, by my friends at www.customplanet.co.uk. They are screen printed, front and back, for durable and long term use. Current sizes available are M, L and XL (I'm expecting some S and XXL sizes in January). 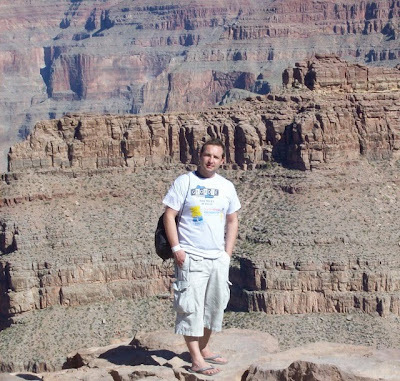 Finally, thanks to Richard for taking time out to send this photo while on his honeymoon with his wife Caroline. All the best to the happy couple. Run Geordie Run Needs You! When I ran the 874 mile route from John O'Groats to Lands End in 2007 it was done with the help of a first class road side support team. They were a team full of "characters" such as Burnley Keith and the legendary Rab C (aka Owen McMahon, pictured left). It would be wrong of me to forget to mention the other members of the team; Katy and Jack Allison, Ian Glasgow and Mark Huck. In the end, the entire team's contribution was a telling one. Not only did they carry out driving and fetching/carrying duties without complaint but they all helped keep my morale as high as possible during a difficult 5 weeks of running. With only 17 months left before I leave the start line in California, the time has come to start to assemble a similar quality support team. I don't see this as being an easy task by any means. The level of commitment and sacrifice I'm asking of potential team members is quite significant. Don't forget though that the rewards, on the other hand, are equally as significant. The Run Geordie Run project has a very good chance of raising tens of thousands of pounds for 2 excellent local charities. Please, please don't underestimate the number of lives that are in some way touched by the 2 charities every day of every year. I can't state, restate and remind everybody enough times about the difference that St Benedict's Hospice and The Children's Foundation make to the lives of people in our region. I've seen it for myself! I've actually seen where the money goes! As regular readers will know, my Mam lost her battle against lung cancer in St Benedict's Hospice. Her final weeks were made as comfortable as possible and thanks to the staff at the hospice she had a dignified end to her life in exceptionally terrible circumstances. Last year I was lucky enough to attend the Children's Foundation AGM. The projects I was made aware of during the meeting were as breathtaking as they were inspiring. It still amazes me to this day to think that the Foundation touched the lives of around 90,000 children that year. I can say with great confidence that the North East really would be worse off without these 2 amazing charities. With all of that that in mind, I would say that being part of the Run Geordie Run Support Team would be quite an appealing proposition to many people. "Where do I sign up?" I hear you ask. 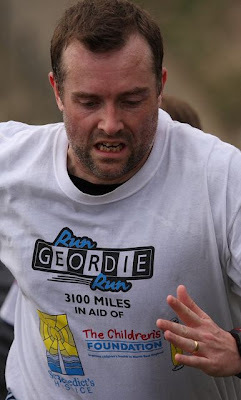 Well first of all, let me tell you a few facts about what is involved with being a member of the Run Geordie Run Support Team. I need at least 2 team members on the route at any one time. At least 1 of the team will be required to drive the a Winnaebago type vehicle (pictured above) which we will be using for transport and accommodation all across the USA. I need a person qualified in sports massage. Team members are required to commit at least 14 full days of their time for support duties. Team members are required to pay for their own flights. Team members are required to arrange their own Visas where applicable. Transfers to and from the relevant airports will be paid for by myself. The accommodation, petrol and energy costs will be payed for by myself. Team members are required to pay for their own food. Team members must have a sense of humour! Team members must be able to encourage and motivate. Aside from the aforementioned support duties this is actually a really good chance to see quite a bit of the USA. For info, an overview of the route can be seen here. Start and End date of availability. Within the above dates, number of full days willing and able to provide support. Why you think you are suitable for the team? Details of previous experience in other similar fundraising events. Which football team you support? One interesting fact about yourself. Please feel free to include any other information which you may find suitable in your application. I look forward to hearing from you. In the meantime, if you have any questions please don't hesitate to get in touch at rungeordierun@googlemail.com. There have been a few landmarks reached recently. The fund has exceeded £5,500 for St Benedict's Hospice and The Children's Foundation and currently stands at £5,734. Thanks again to everyone who has contributed so far to the 2 charities. Where an email address has been left on the justgiving.com websites I have sent my thanks. To those who haven't left an email address please rest assured that your donation is very much appreciated by me and moreover by St Benedict's Hospice and The Children's Foundation. 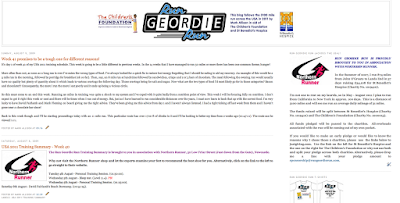 The latest Run Geordie Run landmark is the number of hits this blog has had since it started in January 2007. This figure burst through the 90,000 mark this morning! This is thanks, mainly, to the coverage I've received on nufc.com recently and the traffic I'm getting as a result of that. Yesterday, I was lucky enough to catch up with one half of nufc.com (Biffa) in a pub in Plymouth before the match. More importantly, I was able to buy him a long overdue pint and say thanks for all nufc.com have done for the 2 charities so far. I must say that I also found it fascinating to get an inside view on how he and Niall keep nufc.com up to date. I'm sure, like many other regular readers of nufc.com, it always amazes me just how much time, dedication and effort go into keeping it bang up to date. Quite remarkable really. Taking into account the 90,000 hits and the £39,842 raised since 2007 means that for every 2.25 hits, £1 has been raised (£34,108 for the John O'Groats to Lands End run and £5,734 for USA 2011 so far). Long may it continue! For those of you visiting www.rungeordierun.com for the first time this item should hopefully go some way to explaining what the 3100 run across the USA is all about and why I'm doing it. Where and when is the next sponsored run? My next sponsored run is to be done along a 3100 mile route from the west coast (Pacific) to the east coast (Atlantic) of the USA. The run starts in Huntington Beach, California and finishes in New York City. I will be running through a total of 15 states. The runs takes in unforgiving heat in the Mojave Desert and relentless climbs in the Rocky mountains with a summit of 11,307 ft (Berthoud pass). The run starts in May 2011 and will be done over the course of 100 days. I will therefore be running 31 miles a day on average. The primary motivation for running 3100 miles across the USA is to raise funds for 2 local charities. 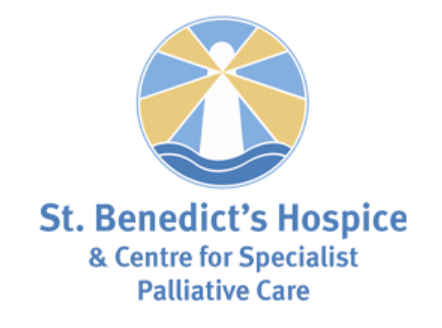 The first, St Benedict's Hospice (Charity No. 1019410), cared for my Mam during her final days battling cancer in 1995. Ever since then, I have tried to repay the debt of gratitude I feel towards the Hospice and the staff. The second charity is The Children's Foundation (Charity No. 1000013). I have a young family myself and I'm very proud to contribute to a charity that cares for the health and wellbeing of so many children in the North East. It is estimated that, last year, the charity touched the lives of over 90,000 children. Who is funding the run? All expenses associated with the run are coming out of my own pocket. I have already turned down offers of financial support and those funds have gone to the 2 charities. It's so important to stress that every single penny raised will go to the 2 charities. Nobody, but the 2 charities will benefit financially from the run across the USA. Will you have a support team? I hope to have a team very similar to the one that supported me so successfully in 2007. 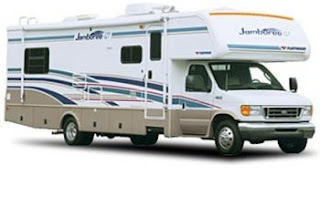 We will have mobile accommodation for the entire run. I'm not normally one for setting targets but an event of this magnitude has to have one. Given that £34,108 was raised during my last run from John O'Groats to Lands End in 2007 the USA 2011 run has a fundraising target of £50,000 (£25,000 for each charity). It's a massive target and with the help of so many generous people out there it's one I'm confident of achieving. How are you fitting the run across the USA around your normal family/work routine? The answer to this one is a bit extreme. I'll be quitting my job before I start the run and looking for work when I get back to the UK. This is a massive risk as, like everyone else, I have bills to pay. A bigger sacrifice than that though is the fact that I will not see my family for just over 3 months. My son, Jack, will be 8 when I run across the USA. It pains me to think about being apart from him for so long. How much training will you be doing? Training for the USA 2011 run started 62 weeks ago in November 2008. During that time I have ran over 1,500 miles with various distances, terrains and speeds. I have managed a maximum of 90 miles in a week and up to 37 miles in a single session. The focus in 2010 will be learning how to recover after running the big miles day after day. By the end of Summer 2010 I hope to be able to run 7 consecutive days of 31 miles. How can I donate to your chosen charities? Donations can be made at www.justgiving.com/rungeordierun1 for St Benedict's Hospice or www.justgiving.com/rungeordierun2 for The Children's Foundation. Ways to support Run Geordie Run's 2 chosen charities (Part 4). 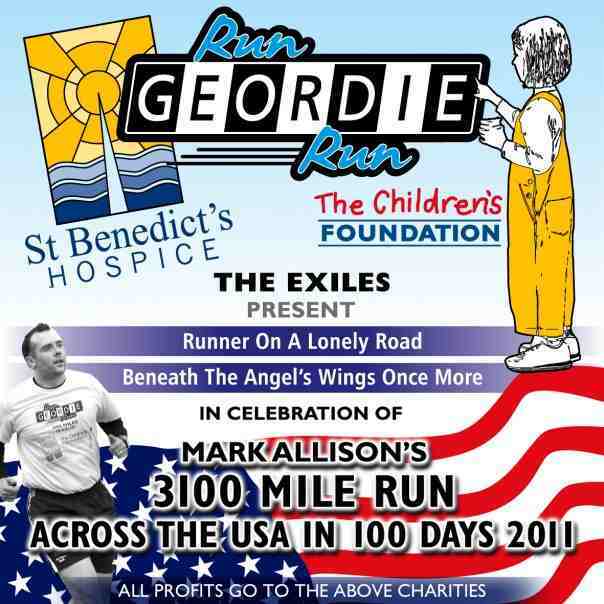 There are a number of ways to support the 2 charities that Run Geordie Run is raising funds for (St Benedict's Hospice and The Children's Foundation). In response to a few emails that I've received here is another one. T-Shirts, modelled here by former Newcastle United midfield legend Paul Bracewell, are priced at £10 each with the full £10 going to the charities. Yes, that's right! You pay £10 per t-shirt and all of it goes to the 2 charities. This is how we like to do things at Run Geordie Run! Ways to support Run Geordie Run's 2 chosen charities (Part 3). Ways to support Run Geordie Run's 2 chosen charities (Part 2). 2) Email rungeordierun@googlemail.com with details of how many you would like and where they should be posted to. Ways to support Run Geordie Run's 2 chosen charities (Part 1).